Jason E. Brokaw | Giffin, Winning, Cohen and Bodewes, P.C. Jason joined Giffin, Winning, Cohen & Bodewes, P.C as an Associate in 2014 and was recently selected by Leading Lawyers as an Emerging Lawyer. Throughout his legal career, Jason has concentrated his practice in the areas of municipal and local government law and civil appeals. Jason advises the firm's multiple local government clients on issues of governance, transactions and contracts, personnel, appropriations, as well as personal injury and property damage claims. He has served as hearing officer in administrative adjudications of ordinance violations for multiple municipalities. Additionally, Jason has represented local government electoral boards in hearing objections to petitions of candidacy. He currently sits on the Board of Directors for the Government Bar Association. Jason began his career as an attorney with the City of Springfield as Assistant Corporation Counsel for the City of Springfield where he was involved in several areas of practice related to local government. Jason worked with City Risk Management personnel to view claims by individuals against the City for damage to property and/or personal injury. He engaged in motion practice and discovery related to these claims. Additionally, Jason was responsible for bringing suit on behalf of the City to recover against other parties for damage they caused to City property. Jason also served as a Freedom of Information Act Officer and oversaw city-wide compliance with the requirements of the Act. He prosecuted violations of the City's building, housing, and zoning codes as well as general police related offenses. Jason also served as counsel to the liquor commissioner and the liquor commission on issues related to the City's liquor code and licensee compliance. Prior to leaving the City of Springfield, Jason also served as the City's police legal advisor. As the police legal advisor, Jason was on call to counsel officers and the police department in matters related to personnel, civil rights, property law, constitutional law, and intergovernmental cooperation. Jason is a native of Milledgeville, Illinois. 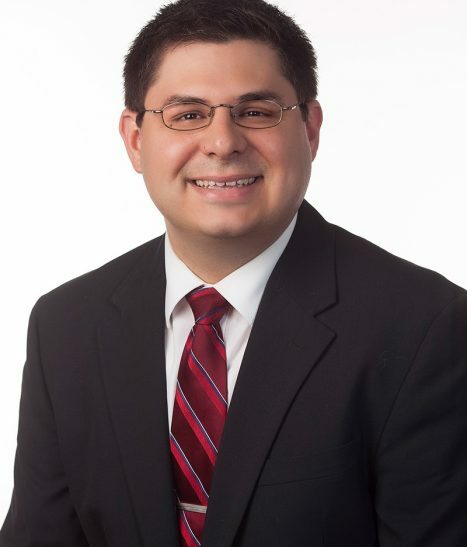 Prior to practicing law, Jason served as a legislative analyst for the Illinois House of Representatives where he conducted critical reviews of the impact of numerous and diverse pieces of legislation before the chamber, collaborated in the drafting of legislation, staffed committee hearings, and advised Representatives on legislation during floor debates of the House of Representatives. He currently resides in Springfield with his wife and son.